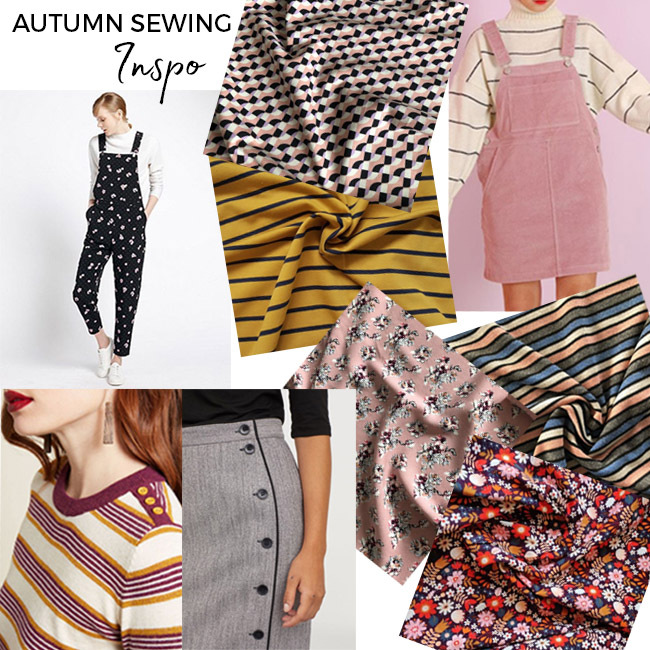 Want some drool-worthy inspo for sewing all the cosy, autumnal things? 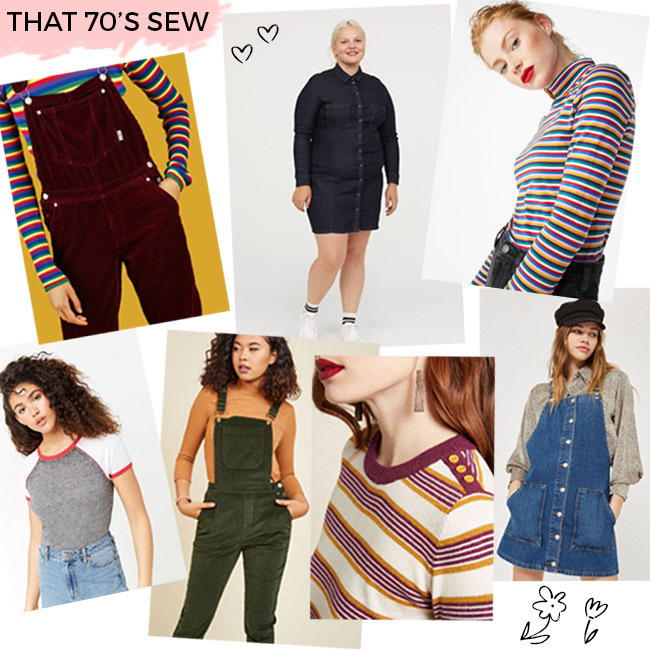 It’s Louise here and I have been planning my autumn wardrobe for quite some time (I can’t wait to get into corduroy and french terry!) – so I thought I’d share some project ideas. 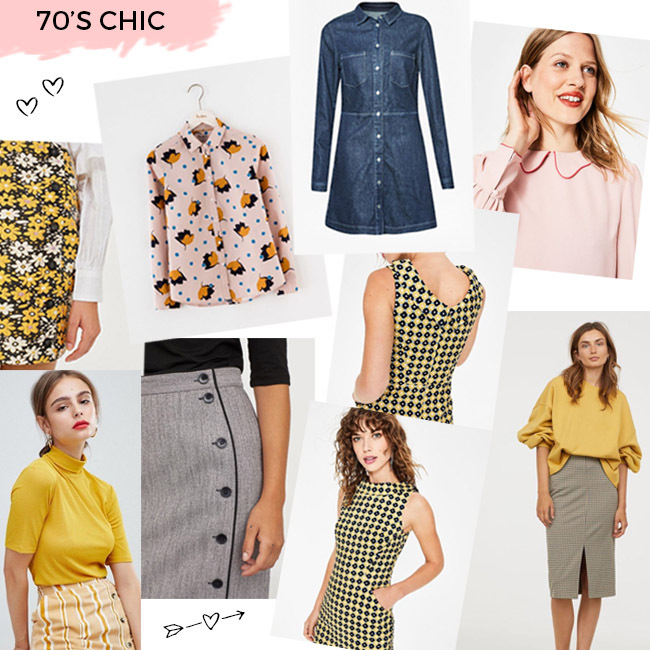 70s fashion gives us the perfect colour palette for autumn – mustards, bottle greens, orange, and petrol - and styles that work so well at this time of year. These shades come in geo prints, variegated stripes and bold florals. They look lovely paired with electric blue or indigo denim – and cord of course! 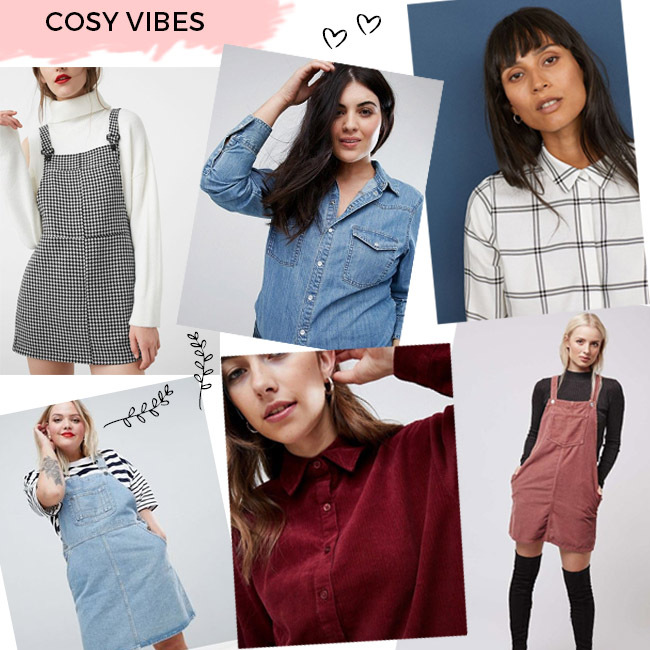 Rosa shirt or shirt dress, Freya sweater or dress from Stretch!, Mila dungarees, Cleo dungaree or pinafore dress, and Frankie tee from Stretch! are all perfect patterns to channel the 70s. If you want to go for a more ladylike look, try a knee-length Arielle skirt skirt, an Etta dress in a bold print, or a Bibi pencil skirt from Stretch!. 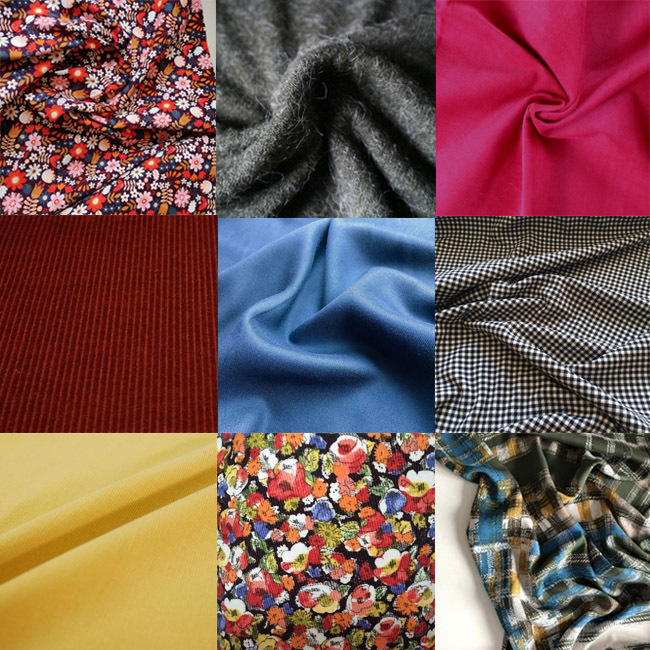 Here’s a selection of lust-worthy fabrics to check out for your 70’s inspired project. 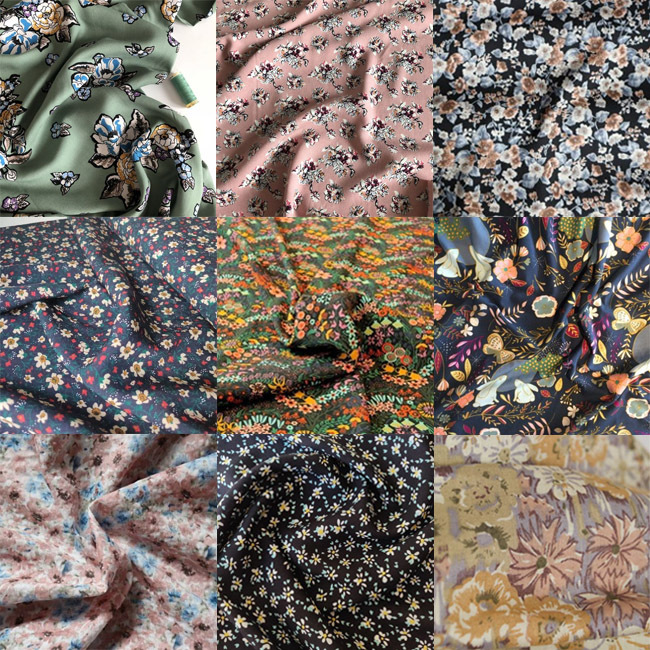 There is a floral print for every season and autumn is no exception. You can opt for a dark base with ditsy floral or go for dusky pale shade like blush or sage. Try working a floral skirt like Dominique or Arielle into your wardrobe, as these will be gorgeous paired with jumpers and tights for those colder days. Make a Bettine dress out of a drapey floral fabric to wear underneath a chunky cardigan. 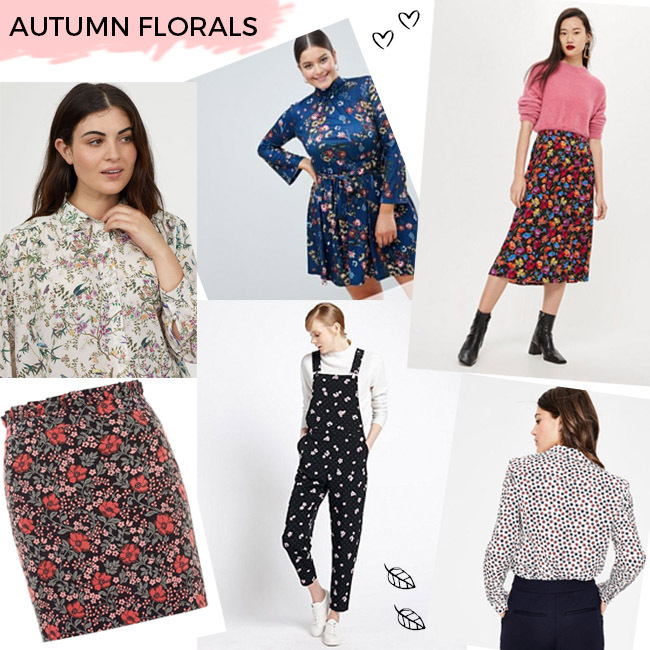 Every wardrobe should have a floral shirt to layer under dungarees and pinafore dresses – Rosa for example is the perfect shirt pattern as it is fitted so looks great on its own, but also tucks into things neatly. 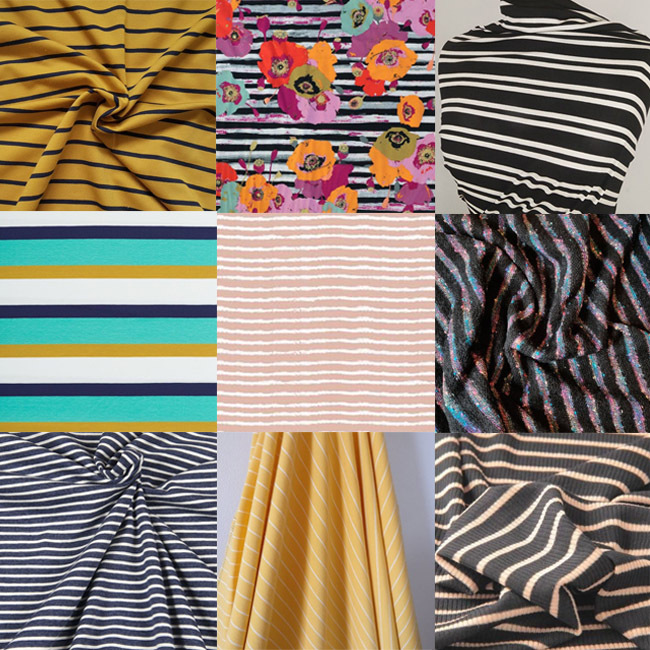 There is a way to work stripes into any season – amirite? 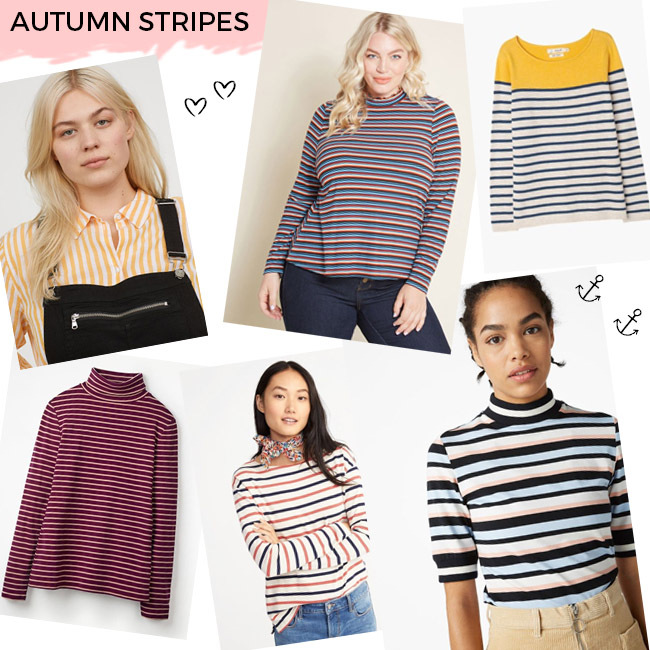 Look out for burgundy, mustard, navy, or grey bases that scream ‘I am cosy’ - and even better if you can find a textured stripe. Our Coco top or dress and Freya sweater or dress patterns are perfect for layering and are quick to whip up - ready for a leafy walk in the park, followed by a Sunday lunch! Textured fabrics make you feel nice and toasty, so why not stitch up a garment in soft brushed cottons/flannels, wools, denims, or my favourite – corduroy. 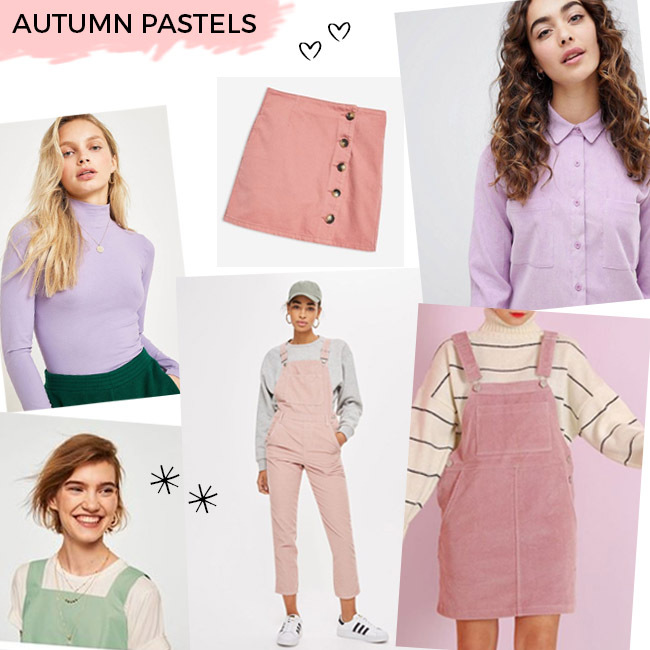 Pastels are not something traditionally worn in the colder months – but snuggly fabrics in pastel shades will be sure to put a smile on your face. We heart a pastel Cleo dungaree dress or Mila dungarees paired with a Freya or Frankie from Stretch!. 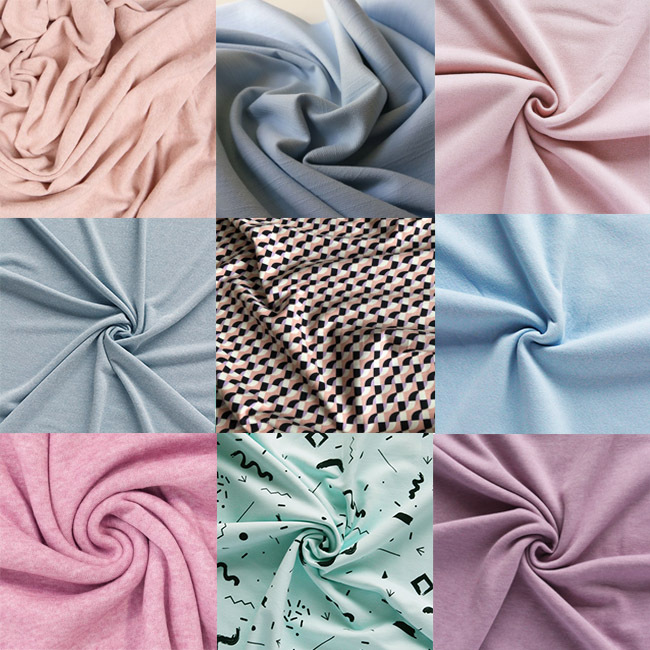 Top of my sewing list is a rose denim Arielle skirt and a snuggly lilac Stella hoodie and I’d love to stitch a pastel Rosa shirt dress! 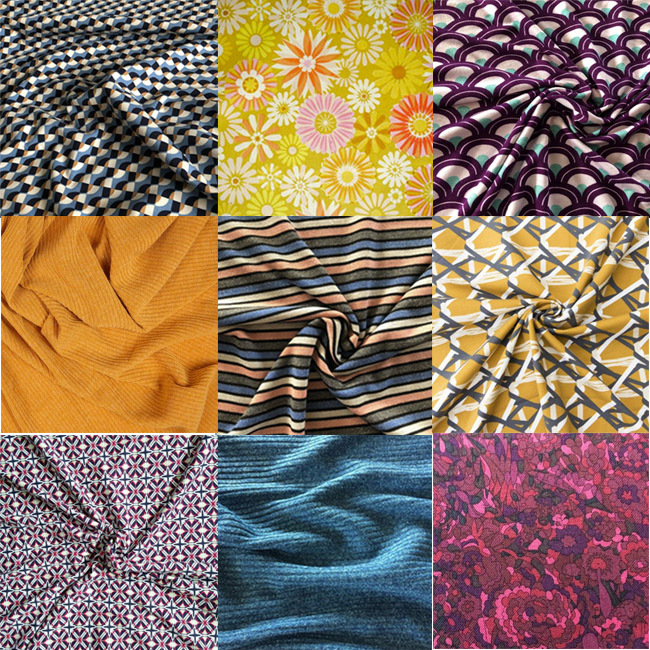 This super sweet selection of fabrics is to-die-for and some of them are available in our shop. I hope you’re feeling inspired and ready to sew some autumn goodies. Share your plans with us by commenting below – we can’t wait to hear them!